This is the name of Lilliput's treasurer, from the famous "Gulliver's travels" novel. The band's founder, Itay Eyal, never read the book but saw this character on television and got the inspiration. He didn't mean it, but the name holds a special irony: Lilliput is not unlike the tiny state of Israel, unaware of the existence of the big UK. Lord Flimnap is the band of tiny people, trying to go the way of the big boys: The legendary King Crimson or the bearded Gentle Giant. This is the way to describe their only album, "Point of View" - a naive attempt to create British progressive rock in Israel, as far away from London as possible. This was a trio of minors. Ohad Goldbart (Keyboards, Acoustic guitars, Voice) was a 15 year-old boy from the southern city of Beer Sheva, called in 1989 by Itay Eyal (Guitars, Bass, Voice) and Alon Weissman (Drums, Voice), two 16 year-old boys from Rishon Letzion, a city close to Tel Aviv. Weissman met Goldbart at summer camp. Eyal was the band's leader. After 3 years in NYC, he absorbed strong influences of American rock and British prog - Crimson, Gentle Giant, Hatfield, Soft Machine etc. flowed in his veins. Eyal didn't want to create Israeli music in the Hebrew language. His mother language was English. This is the reason why "Point of View" doesn't sound like an Israeli album at all. Eyal has given his first-ever interview by telephone from Jerusalem, where he lives now. "We were a strange animal in those days. We lived in a small bubble and didn't know it. Just a bunch of innocent kids. The objective was not making a living. It was just for "making it happen". For me, it wasn't the fame that we wanted, it was the pure act of creation". Judging from the quality of the arrangements and composing, it's hard to believe that these three teen-agers were making all their rehearsals in a small room. They contacted a recording studio in Kfar Sava, spent 5-10 hour sessions and recorded one song per session. 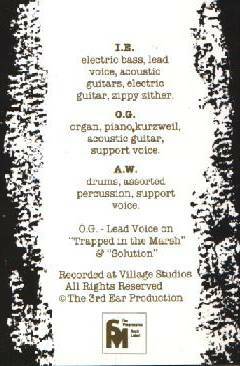 In two months and in less than 50 studio hours, the album was complete. Thanks to the efforts of Eli Hayon, a manager in "The Third Ear" indie label, the music was released first on tape, and then on CD by a German company named SPM who distributed it through a sub-label called WWR in Europe. Eyal: "When the album was out, that was enough for us. We didn't care about anything later. We didn't mind how many copies were sold. We didn't even know how to promote it, and thought it was the label's job. But nothing big happened, in the end. Two years later I joined the Israeli army (like any other 18-year old Jewish Israeli), and the story was over". Goldbart: "It's a strange CD. It doesn't sound Israeli, because in our minds we were not located in Israel back then. We were crazy about music, and the Israeli reality didn't sneak inside us. I find this detachment beautiful. It's special. Israeli music, which is in part noisy and pathetic, is not part of this. It's hard to connect Lord Flimnap with our home town. It was like a spaceship which couldn't be landed on the Israeli audience". "Point of View" is a 70's prog album, fairly complex harmonically. The three players doubled themselves on many instruments, creating a feeling of a quintet. It sounds English, both gentle and naive. Although the musical production is modest, it conveys a feeling of longing for a long-gone musical era. Even Eyal's accent doesn't sound Israeli. Eyal: "I remember, at the end of the recording, we lost one channel by mistake in the studio - it was a violin or a flute. I called Goldbart to come to the studio as fast as he could, because every studio hour was pretty expensive for young kids like us. The boy, just 15, got on a bus, traveled for three hours in the rain and came to add this lost channel. I will never forget this gesture". SPM tried to conceal the band's nationality. Eyal: "The marketed the album like it was a lost British gem. I'm not sure they knew our full names. 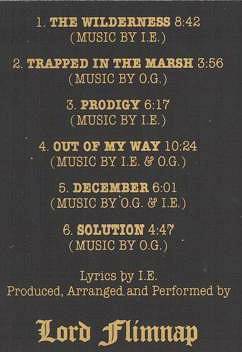 Whoever bought the album in Europe, didn't know it was an Israeli production. I spoke to them only once on the phone. We didn't get a penny from them". The Flimnaps never performed this material live. Eyal: "It was impossible to play it, because we were only a trio, and live setting required another player. Later, we tried to use a different lineup (Yoel Partinian and Amit Poznanski) and a guest guitarist, but the shows didn't go well". Goldbart: "Artists like Peter Hammill still turn me on today, but generally - I don't like what's going on in the music world today. At that period, we were very negative about the music that was made around us. We felt that the classics of the 60's and the 70's ware better, much more organic and creative". The longing for a lost, better era is one of the basic elements of British prog-rock - the romantic tradition of Europe. 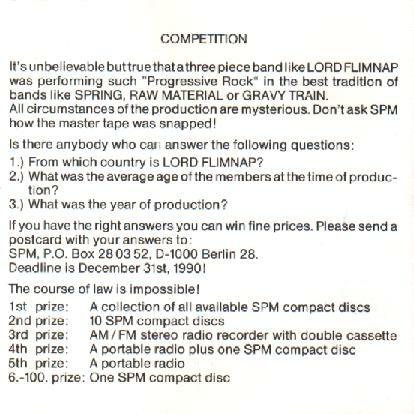 Lord Flimnap remains unknown even today, among the prog-rock internet community. The album can be found in a few net-shops, but it's becoming quite rare since it's now out of print. Eyal is not making music today, but he's writing songs and dreaming about a future album. Weissman moved to NYC, where he works as a pilot. Goldbart retired from music, and he says: "Making music in Israel is a road full of misery and no proper publicity. The industry is exploiting the artists. The trail is deformed, because too many sideshows spring along the way - and the artists lose their destination". Both Goldbart and Eyal mention "Beyond the sounds" (1972) as the only progressive album made in Israel. Eyal: "Innocence is a rare product. Of course, you can be a bourgeois musician, but I think that if you want to make music - you've got to go all the way and do it right. If not - go work in a bank". 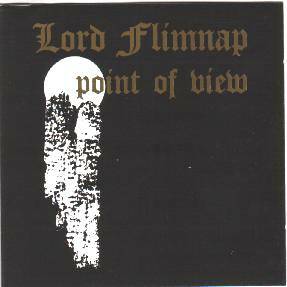 The Lord Flimnap album has been re-issued on December 2004 by "The Third Ear" label in Israel. The new edition contains bonus tracks, new cover art and an improved booklet.